The coloring of the eggs is an annual Easter event at our house. 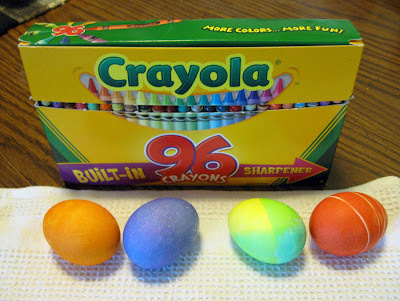 As Crayola puts it, "More colors... More fun!" We like to mix and double dye with all the colors. Upper left: multi-dipped. Center top: shibori. Far right: pre-marked with Crayola crayon. The hand dying techniques this year included multi-dipped (over dying), pre-dye patterning with Crayola crayons, and shibori (using a rubber band for the resist). Only two eggs were lost due to premature cracks. 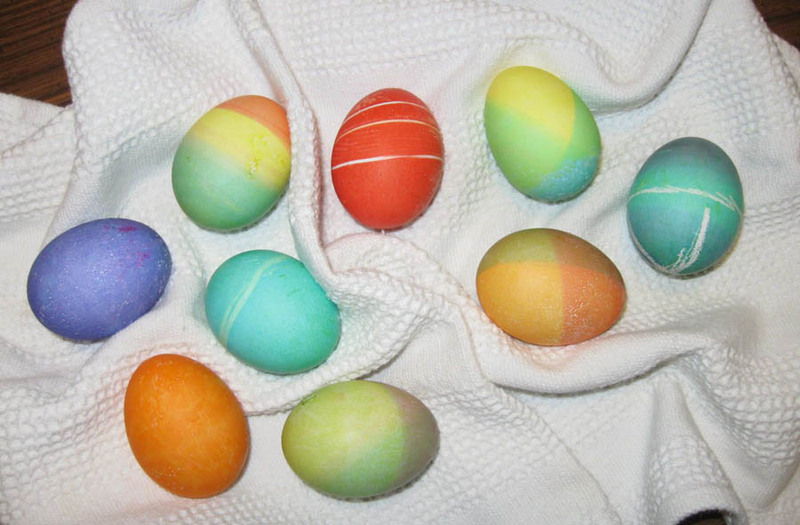 Dyed eggs are drying. 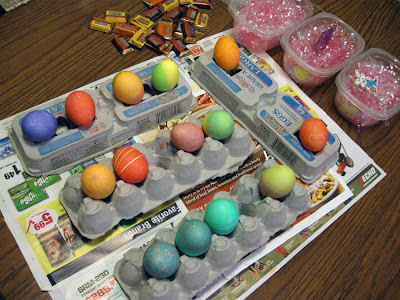 Baskets await assembly. 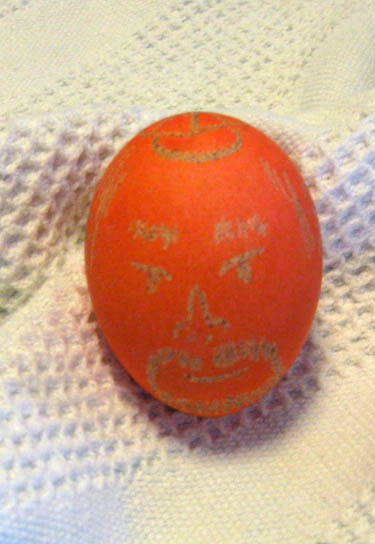 Even though Crayola doesn't make a color for your eyes, my husband draws a "baseball dude" egg (complete with a baseball cap on his head) or, this year, a self-portrait. This self-portrait egg does not do justice to my DH's gorgeous blue eyes.